The recent Chapter 11 bankruptcy reorganization filing of shoe and apparel wholesaler Nine West Holdings Inc. focused the retail spotlight on the outlet center segment of the commercial real estate industry. Despite the bad news for the U.S. commercial real estate market – including Philly retail space – that Nine West is closing all 70 of its stores, the good news is that leasing demand for outlet store space has been outpacing availabilities. 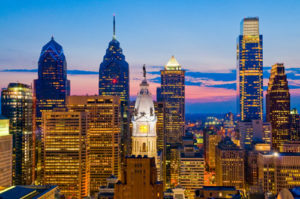 This report on U.S. and Philadelphia commercial properties is being made through Philadelphia commercial real estate broker Wolf Commercial Real Estate, a Philadelphia commercial real estate brokerage firm focusing on Philly retail properties. Privately held Nine West’s filing seeks to restructure about $1.6 billion in debt, much of it racked up in the national and Philadelphia commercial real estate markets when private equity firm Sycamore Partners Management acquired the company and affiliated brands in the 2014 for $2.2 billion. While 80 percent of Nine West’s sales come from wholesale operations, it also operates 70 brick-and-mortar retail stores – all of which it has now closed and is asking the court to cancel the leases on those locations. Sixty-seven of those locations were in outlet centers included among national and Philadelphia commercial real estate properties. The store closures hit two publicly traded retail landlords and their U.S. and Philadelphia commercial real estate listings the hardest. Simon Property Group will lose 35 stores. Simon owns and operates a portfolio of 91 centers through Simon Premium Outlets and Tanger Factory Outlet Centers will see 19 stores closed out of its portfolio of 44 upscale outlet shopping centers. The stores typically ranged about 3,000 square feet in size on average, which means about 105,000 square feet of newly vacant space in the U.S. commercial real estate market – including Philly retail space – for Simon and 57,000 square feet for Tanger. That is a bigger chunk of space comparatively for Tanger. During 2017, Tanger recaptured 201,000 square feet within its portfolio. The 2017 amount is nearly double the amount it took back a year earlier. Overall occupancy declined from 98 percent in 2016 to 97 percent last year. The U.S. retail vacancy rate increased by 10 basis points for the second-straight quarter to hit 5.2 percent in the third quarter of 2017 as retail leasing and net absorption slowed despite continuing improvement in the broader economy and growing consumer spending power, according to CoStar analysts. A slowdown in third-quarter leasing performance for the U.S. commercial real estate market – including Philly retail space – reflects the ongoing store closures announced by several major retailers. In total, retailers have announced a record 101 million square feet of store closings this year, on top of 83 million square feet of store space that went dark in 2016. However, despite signs of decelerating leasing demand for the national and Philadelphia commercial real estate markets, some analysts speculate that record levels of store closures will eventually have a ‘healing effect’ on the market as the weakest shopping centers shut down or are repurposed. Analysts argue that recent weakening of fundamentals does not necessarily justify the doomsday scenario suggested by gloomy headlines warning of a “retail apocalypse” or “Armageddon, and the focus on the ongoing purge among national and Philadelphia commercial real estate properties masks the best-performing centers, many of which are adding stores and maintaining occupancy. “Store closures have become a headline risk, and I think it is impacting the capital markets and pricing of retail property. But for shopping center owners and investors, these closures may be a necessary means to healing the market,” observed CoStar director of U.S. retail research Suzanne Mulvee in presenting the latest quarterly data during CoStar’s State of the Retail Market Q3 2017 Review and Outlook. 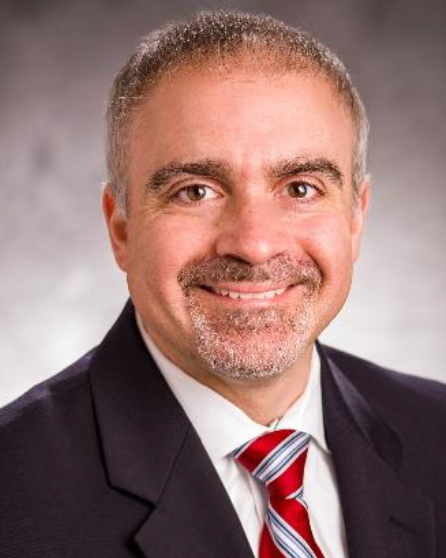 “Consumer spending (at the closed stores) needs to go somewhere, usually to another physical retailer, so we look at this trend as somewhat positive for the overall market,” Mulvee said. Surviving stores in the right locations “will ultimately come through this period even stronger than before,” added CoStar managing consultant Ryan McCullough. One major issue contributing to concerns on Wall Street about U.S. and Philadelphia commercial real estate listings is the staggering amount of debt held by retail chains, incurred in part during the wave of leveraged buyouts by private-equity firms in recent years. The best-performing malls and shopping centers operating in the U.S. commercial real estate market – including Philly retail space – will continue to attract tenants and retain value. Average and lower-performing properties will continue lose value and eventually close or be repurposed, according to the report. U.S. retailers dealing with national and Philadelphia commercial real estate listings expect to open nearly 4,100 more stores than they will close in 2017, a conveniently overlooked fact in many news headlines focused chiefly on the number of store closings, according to “Decluttering the Retail Landscape,” a recent report by TH Real Estate. Competition from online sales is pushing weaker retailers out of business faster than ever before, but the report posits that should ultimately result in a financially healthier and more adaptable set of retailers and shopping centers that provide more appealing experiences and a compelling product mix for shoppers. 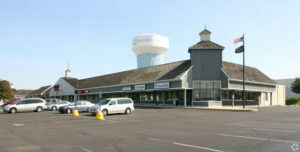 Wolf Commercial Real Estate, a leading Philly commercial real estate brokerage firm with expertise in Philly commercial real estate listings and services, now has available premier Philly retail space for lease in the 202 Marketplace Shopping Center at 411 Doylestown Road Montgomeryville PA. This Philly retail space for lease is in well-located retail center and potential lease partners will notice a strong anchor Outback Steakhouse in the middle of this retail space in Philly. In addition, the landlord of this retail space for lease in Philly in the 202 Marketplace Shopping Center at 411 Doylestown Road Montgomeryville PA said the shopping center has been involved in the negotiations that began in August 2017. There are from +/- 1,500 to 20,866 square feet of divisible retail space in Philly available in this shopping center. This retail space for lease in Philly is available for immediate occupancy so please call for more information the lease price of this retail space for lease in Philly. This retail space in Philly in the 202 Marketplace Shopping Center at 411 Doylestown Road Montgomeryville PA serves the Route 309 corridor and this Philly retail space also is near the busy Five Points intersection. Parking is ample at this Philly retail space for lease and there are excellent demographics at this retail space in Philly, including daytime population. Wolf Commercial Real Estate, a Philly commercial real estate brokerage firm that specializes in Philly commercial real estate listings and services is offering this retail space for lease in Philly. For more information about this Philly retail space for lease in the 202 Marketplace Shopping Center at 411 Doylestown Road Montgomeryville PA or about any other Philly commercial properties for sale or lease, please contact Tony Banks (215-544-6040; tony.banks@wolfcre.com) at Wolf Commercial Real Estate, a Philly commercial real estate broker. Wolf Commercial Real Estate, a full-service CORFAC International brokerage and advisory firm, is a premier Philly commercial real estate broker that provides a full range of Philly commercial real estate listings and services, property management services, and marketing commercial offices, medical properties, industrial properties, land properties, retail buildings and other Philly commercial properties for buyers, tenants, investors and sellers. Please any of the numerous Wolf Commercial Real Estate websites for a full listing of Philly commercial properties for lease or sale through our Philly commercial real estate brokerage firm. Empty storefronts are starting to proliferate Center City streets in the Philadelphia retail real estate market, possibly presaging the end of a five-year-old resurgence that peaked last summer with record rents along the core Rittenhouse shopping district streets of Walnut and Chestnut. Area commercial real estate experts blame a supply glut, the closing of national brand stores, local competition, and online shopping, but it’s a disconcerting trend that – according to a recent article on Philly.com about Philly rental space and the general retail commercial real estate market – does not seem to be abating. Vacancies are taking longer to fill and retail rents in the Philadelphia commercial real estate market are down about 10 percent this summer for the first time after several years of increases. This report on Philadelphia retail commercial properties is being brought to you through Philadelphia commercial real estate broker Wolf Commercial Real Estate, a Philadelphia commercial real estate brokerage firm. Mid-block rents in the last year among Philadelphia commercial real estate properties on Walnut Street – from the 1400 to the 1700 block – are $100 to $150 per square foot, compared with $130 to $170 per square foot last summer. Premium corners average from $185 to $200 per square foot and have not been affected. Meanwhile, Philadelphia retail commercial real estate listings located mid-block on Chestnut Street, from the 1500 to 1700 blocks, now average between $60 and $75 per square foot, compared with $65 to $85 a year ago. Corner spaces on Chestnut are about the same, averaging between $90 and $100 per square foot. More than 2.1 million square feet of Philly retail space in the city’s commercial real estate market has been added to the central business district and nearby neighborhoods in the last five years. This figure includes 730,000 square feet from the former Gallery at Market East, a mall that is in the process of being renovated. Hundreds of national apparel chain stores – occupying some of the most desirable Philadelphia retail commercial real estate listings – are either facing bankruptcy or are closing stores. Couple that with the level of taxation facing Center City retailers — business income, use and occupancy, city and state property taxes, and others – and it’s even more difficult to keep stores occupied. For more information about Philly retail space or other Philadelphia commercial properties, please call 215-799-6900 to speak with Jason Wolf (jason.wolf@wolfcre.com) or Tony Banks (tony.banks@wolfcre.com) at Wolf Commercial Real Estate, a leading Philadelphia commercial real estate broker that specializes in Philly retail space. Wolf Commercial Real Estate is a Philadelphia commercial real estate brokerage firm that provides a full range of Philadelphia commercial real estate listings and services, marketing commercial offices, medical properties, retail properties, land properties, retail buildings and other Philadelphia commercial properties for buyers, tenants, investors and sellers. About 37,000 retailers, retail brokers, investors and other retail professionals doing business in U.S. and Philadelphia retail real estate markets gathered in Las Vegas recently amid a tangible sense of frustration during RECon, the industry’s largest trade convention. That vexation was not as much about the retail commercial real estate market – including Philly retail space – which remains uniformly good, but rather over the gloomy headlines and negative narrative regarding store closures and retailer bankruptcies that have dominated recent headlines. Attendees adopted a defensive stance with a hint of defiance about what many described as overblown sense of negativity by news outlets and industry analysts in reporting and dissecting the woes of those retailers in the U.S. and Philadelphia commercial real estate markets as Sears, JCPenney, Macy’s and a series of apparel chains and others that have announced closures. This report on national and Philadelphia retail commercial properties is being made through Philadelphia commercial real estate broker Wolf Commercial Real Estate, a Philadelphia commercial real estate brokerage firm. Throughout the sessions, brokers, landlords and retailers dealing with U.S. and Philadelphia commercial real estate properties ridiculed headlines pronouncing a “retail Armageddon” and the death of brick-and-mortar stores. By the third day, however, the narrative at the annual celebration of global consumerism had shifted to hammering out deals involving national and Philadelphia retail commercial real estate listings and sharing sale and lease strategies in the changing environment. Conference goers worked their phones and packed the Las Vegas Convention Center floor scouting out potential deals. Panel discussions involving the U.S. commercial real estate market – including Philly retail space – focused on repurposing malls and shopping centers with the latest food, beverage and entertainment concepts, redeveloping aging Class B properties and rooting out the “hidden money traps” in onerous leases. Many major mall players have largely weeded out B and C properties and are focused on building ‘fortress’ investments in their best assets and locations. For example, one major mall owner announced plans to add restaurant and entertainment space throughout its U.S. and Philadelphia retail commercial real estate listings and to redevelop former department store sites to keep up with the changing preferences of its customers. The retail sector’s national vacancy rate dropped to 5.9% in the final quarter of 2015 on the heels of posting a strong 20 million square feet of net absorption, according to a new retail real estate report from the CoStar Group. This scenario bodes well for rent growth in the year ahead in an increasing number of shopping districts in the U.S. and Philly retail space markets, the report said. CoStar’s 2015 State of the U.S. Retail Market Review and Forecast said the last quarter of the year saw only 12 million square feet of new retail space come online, capping off the year’s “moderated pace” of shopping center development that has continued into 2016. Construction in the U.S. retail market, including the market for Philadelphia retail space, remains fairly low in comparison to earlier cycles, but new shopping center space now in development stands at its highest level since the recession — 70 million square feet nationwide, CoStar reported. Included in the new retail projects now underway are 21 malls and five outlet centers, but only 10 power centers, the report noted. That is a significant drop in power centers than in the previous cycles, according to CoStar. Grocery-anchored neighborhood centers, however, have increased considerably in the past two years, with 86 now underway, the report said. Thus trend clearly indicates of the strength of smaller independent in-line tenants and also reflects the positive impact of the continuing economic recovery on local economic strength, CoStar reported. CoStar also noted a changing pattern among developers who are focusing more on urban mixed use infill projects rather than following the population to build shopping centers in far-out suburban locations. This trend was especially notable in supply-constrained markets as New York City, Miami and Honolulu, CoStar said, adding that between 1% and 1.5% of new retail inventory currently is being constructed in these three markets. Among the major projects in these three cities are Miami’s Brickell City Centre, New York City’s shopping centers near the World Trade Center and Hudson Yards, and Honolulu’s International Market Place, opening in Waikiki this summer. At the same time, retail markets such as Raleigh, Nashville, Houston and Charlotte that were previously high-growth markets but are not as supply constrained now are seeing lower levels of construction than the 2006-2008 real estate cycle, CoStar said. Dallas, Raleigh, Fort Lauderdale, Orlando, and Austin, all of which have cleared out their overhang of vacant store space from the last cycle, had the strongest year-over-year demand growth in 2015, according to the report. CoStar said rent growth in premier retail districts with at least $2 billion in spending power within a three-mile radius slowed in recent quarters and would remain good through 2016, but far below the explosive pace of the recent past. 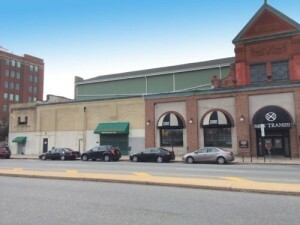 For more information about Philadelphia retail space or any Philadelphia commercial properties, please call 215-799-6900 to speak with Jason Wolf (jason.wolf@wolfcre.com) at Wolf Commercial Real Estate, a premier Philadelphia commercial real estate broker that specializes in Philly retail space. Wolf Commercial Real Estate, a Philadelphia commercial real estate broker that specializes in Philadelphia commercial real estate listings, provides unparalleled expertise in matching companies and individuals seeking new Philadelphia retail space with the Philadelphia commercial properties that best meets their needs. As experts in Philadelphia commercial real estate listings and services, the team at our Philadelphia commercial real estate brokerage firm provides ongoing detailed information about Philadelphia commercial properties to our clients and prospects to help them achieve their real estate goals. If you are looking for Philly retail space for sale or lease, Wolf Commercial Real Estate is the Philadelphia commercial real estate broker you need — a strategic partner who is fully invested in your long-term growth and success. Philadelphia’s East Market Street has been a commerce and transportation hub since the time of 19th-century slaughterhouses and horse-drawn trolleys. This strip of retail space in Philadelphia has certainly experienced both good times and bad. Even with the 1977 opening of the Gallery, the consolidation and downfall of Philadelphia’s grand department stores resulted in an absence of upscale Philly retail space. At the turn of the century, Rittenhouse Row — and more recently, west Chestnut Street — became the city’s preferred shopping destination. But now, Market East is moving toward regaining its significance as “Philadelphia’s Main Street,” with a revitalization effort that will see more than 1.6 million square feet of new and renovated Philadelphia retail space introduced to this segment of the Philadelphia commercial real estate market. Leading the transformation is retailer Century 21, which in 2014 opened a 100,000-square-foot store at 8th & Market, its first location outside New York City. But PREIT/Macerich’s planned overhaul of The Gallery as a premium outlet center is garnering the most interest now as current retail tenants are being relocated to clear the way for the multi-year makeover. An overlooked feature of this Philadelphia commercial real estate development is that it will literally break down the massive walls of the Gallery to bring Philly retail space down to street level, thereby making Market Street more appealing to pedestrian traffic than it has been in nearly 40 years since The Gallery opened. On the opposite side of Market Street, a 775,000 square foot mixed-use project is now being built by National Real Estate. The development will feature 322 residential units, along with Philadelphia commercial properties that will include office space, hospitality, parking and retail. National’s Philadelphia commercial real estate project also will improve pedestrian access to Chestnut Street, where Brickstone Realty is building several Philly commercial properties. Most notable among Brickstone’s projects is a development that will provide 112 apartment units and 95,000 square feet of Philadelphia retail space on the 1100 block of Chestnut. Rents for retail space in Philadelphia in the Market East area have remained fairly steady, but occupancy rates have increased significantly over the past decade. Thanks to a population of more than 183,000 people in Greater Center City and record number of future bookings at the Pennsylvania Convention Center, demand for retail space in Philly is expected to remain solid for the foreseeable future. For more information about Philly retail space or other Philadelphia commercial properties, please call 215-799-6900 to speak with Anthony V. Mannino, Esq., Vice President-Corporate Strategies, at Wolf Commercial Real Estate, a premier Philadelphia commercial real estate broker with expertise in Philadelphia retail space. Wolf Commercial Real Estate is a Philadelphia commercial real estate brokerage firm that provides a full range of Philadelphia commercial real estate listings and services, marketing commercial offices, medical properties, industrial properties, land properties, retail buildings and other Philly commercial properties for buyers, tenants, investors and sellers. Wolf Commercial Real Estate, a Philadelphia commercial real estate broker that specializes in Philadelphia commercial real estate listings, provides unparalleled expertise in matching companies and individuals seeking retail space in Philly with the Philly commercial properties that best meet their needs. As experts in Philadelphia commercial real estate listings, including retail space in Philadelphia, the team at our Philadelphia commercial real estate brokerage firm provides ongoing detailed information about retail space in Philly and other Philadelphia commercial properties to our clients and prospects to help them achieve their real estate goals. If you are looking for Philadelphia retail space for sale or lease, Wolf Commercial Real Estate is the Philadelphia commercial real estate broker you need — a strategic partner who is fully invested in your long-term growth and success. Retail chains in the U.S., including those in the Philly Retail Space market, plan to open 42,506 new stores in the 12 months and 79,650 stores in the next 24 months, a jump of 4% and 4.2%, respectively in new store openings year to date in 2015, according to a new report. The jump in planned chain store openings is being propelled by recent employment and retail sales growth, along with higher consumer confidence, the latest National Retailer Demand Monthly report from RBC Capital Markets says. Retailers also have found increased confidence in the retail market from forecasts for sales of about 3.6% for the 2015 holiday season that, comfortably close to 2014’s healthy 4.1%, according to the consensus estimate of the National Retailer Federation, Deloitte and four other retail forecasters. Lower gas prices also may be having a slow but noticeable impact on consumer budgets, potentially prompting greater nondiscretionary spending, RBC Capital Markets said. Retailer are hoping to attract these extra consumer spending with more new store openings. Despite 2015’s steady increase in new store openings so far, new construction for shopping center redevelopment and ground-up construction has trickled down as the year has progressed, according to RBC. 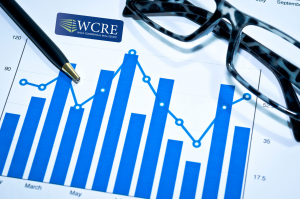 Rents and occupancy are expected to enjoy healthy increases in the near term as the result of the combination of higher consumer sales, increased demand for space among retailers, and a lack of growth in new supply, RBC said. The CoStar Group’s latest retail real estate market data backs up the forecast for increased demand for retail space, including Philadelphia retail space. CoStar notes that the national retail vacancy rate is at the lowest point since it began tracking the market, now standing at roughly 5.9% according to preliminary third-quarter data. The CoStar Portfolio Strategy indicates that absorption has outpaced new construction by almost a 2-to-1 margin over the past year, with the amount of retail space under construction now about 38.5% below the average amount that was under construction between 2006 and 2008. Not all retailers are seeing a rosy future for their industry. Wal-Mart Stores, Inc., the world’s largest retailer, surprised the market by forecasting a 12% decline in net profits for 2016. As a result, the retailer plans to reduce new store openings in the U.S. in the next fiscal year to between 135 and 155 stores, compared with the 354 stores it opened in the last fiscal year. Despite strong net absorption, retail space rents are still 7% below their pre-recession peak — the only major commercial property segment where asking rents have not yet matched to their highs in the last cycle. At blame are the struggling shopping centers, especially those in the outer fringe suburbs, that have leased space at lower rates to discounters, fitness centers and non-retail users, thereby offsetting the exceptionally strong recovery in urban retail properties. Wolf Commercial Real Estate, a Philadelphia commercial real estate brokerage firm that specializes in Philadelphia commercial real estate listings, provides unparalleled expertise in matching companies and individuals seeking new Philadelphia retail space with the Philadelphia commercial properties that best meets their needs. 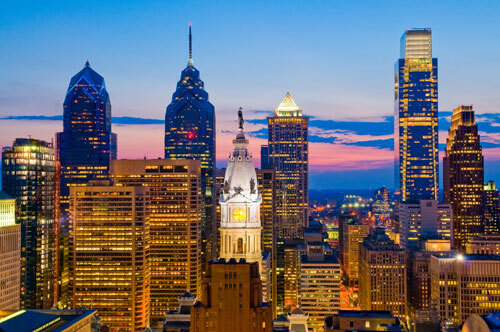 As experts in Philadelphia commercial real estate listings and services, the team at our Philadelphia commercial real estate brokerage firm provides ongoing detailed information about Philadelphia commercial properties to our clients and prospects to help them achieve their real estate goals. If you are looking for Philly retail space for sale or lease, Wolf Commercial Real Estate is the Philadelphia commercial real estate broker you need — a strategic partner who is fully invested in your long-term growth and success. While the national economy was affected by turmoil in the global markets, the Philadelphia commercial real estate market continued its progress for another quarter, according to the latest quarterly analysis from Wolf Commercial Real Estate, a premier Philadelphia commercial real estate broker that specializes in Philly commercial real estate listings and services, including Philly retail space and other Philadelphia commercial properties. An expected summer slow-down did slow the pace of transactions, but overall growth, expansion, and positive absorption stayed on track said the report from this Philly commercial real estate brokerage firm. Healthcare, insurance, financial services, defense contracting, and technology companies led the way. The report from this Philly commercial real estate broker details many factors contributing to continued strength in the market, including large and small lease deals, the beginning of new construction activity, several investment acquisitions of office properties, and continued repositioning among the area’s REITs. According to the report issued by Wolf Commercial Real Estate, a Philadelphia commercial real estate brokerage firm with expertise in Philadelphia commercial real estate listings and services, including Philadelphia retail space and other Philly commercial properties, this repositioning also covers the latest coup for the GROW NJ program, a recently announced 1.7 million square-foot mixed use development along the waterfront in Camden, NJ. According to Wolf Commercial Real Estate, the third quarter posted approximately 477,983 of new leases and renewals executed in the Philly commercial real estate market. This is a nearly 20 percent improvement over the third quarter a year ago. New tenant leases consisted of approximately 280,360 square feet, and renewals and expansions made up approximately 197,623 square feet. New leasing activity represented approximately 58.7% of all deals for the quarter. Overall, gross absorption for Q3 is in the range of approximately 233,610 square feet. In addition to the consummated deals, this section of the report from the Philadelphia commercial real estate broker that specializes in Philadelphia commercial real estate listings indicated a pipeline of approximately 350,000 square feet of significant pending lease deals expected to close in the near term. Overall vacancy in the market continues to drop, and is now down to approximately 12.15 percent, an improvement of three quarters of a point over the previous quarter. Vacancy in Burlington County is now down to 8 percent, while in Camden County it stands at 16.3 percent. The majority of leasing activity for the third quarter was comprised of deals ranging in size from 3,000-80,000 square feet. Average rents for Class A & B product continue to show strong support in the range of $10.00-$13.00/sf NNN or $21.00-$23.00/sf gross, with an overall market average showing strong support in the $10.00-$13.00/sf NNN or $20.00-$23.00/sf gross for the deals completed during the quarter. Rents have remained stable. The full report is available upon request from Wolf Commercial Real Estate, a Philly commercial real estate brokerage firm with expertise in Philly commercial real estate listings and services, including Philadelphia retail space and other Philadelphia commercial properties. For more information about Philly office space, Philly retail space or any Philly commercial properties, please contact Jason Wolf (856-857-6301; jason.wolf@wolfcre.com) at Wolf Commercial Real Estate, a Philadelphia commercial real estate broker. Wolf Commercial Real Estate is a premier Philly commercial real estate broker that provides a full range of Philadelphia commercial real estate listings and services that include Philadelphia retail space and other Philadelphia commercial properties. Wolf Commercial Real Estate markets commercial retails, medical properties, industrial properties, land properties, retail buildings and other Philly commercial properties for buyers, tenants, investors and sellers. Please visit our websites for a full listing of Philadelphia commercial properties for lease or sale through our Philadelphia commercial real estate brokerage firm.